Intergroup – March 2011 – Lincoln Nebraska A.A.
Amy W. (21) – $444.37 balance, co-chaired at the Spring Fling, they have a new secretary, still looking for an alternate DCM. Discussed voting items of last area meeting. Planning a Unity picnic this year more details to come. Albert S. (29) – $244.18 balance, discussed area voting items. Central Office Committee: Jim C. – Total income of $4931.99 with $6620.09 expenses with a net loss of $1688.10. Marcella reported that there were a total of 168 calls in January. 4 were 12 step calls. Total inventory effective Jan. 15th 2011, $32,902.57. This is $3871.58 more than 2010. This year we had $2606.36 more AA literature and $1296.44 more in medallions. Central Office has the new laptop up and running now. Hotline committee: getting things going still working on getting sign-up sheets out to meetings, the central office is going to help to get the word out the people looking for sign-up sheets that they can find those down at central office. We need more people able to help out with this, it is vital that the sign-up sheets are getting filled up. There are still suffering alcoholics not getting our hand according the calls that weren’t answered. PI/CPC Committee: – trying to get up and running again. 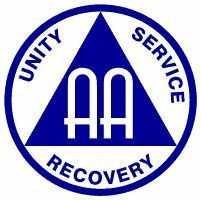 Need people willing to participate in keeping the public informed on where AA can be found. Special Events Committee: Matt C. – $975 balance. Next meeting is Sunday April 17th, 2011. Hi-way dinner. 4th of July picnic speaker will be Kerrigan Z. New Business: Kirk M. suggest from groups on what intergroup could use their funds for. The next meeting is April 29th @ 6:30 @ Willard Community Center-1245 S. Folsom St.